Nothing's better than the wiggling-with-joy, can't-sit-still goofiness of a happy dog. And sometimes we humans can really get the fun going by doing things for our pups that cause even more wiggles and dog smiles than usual. Here are some unexpected surprises, treats and adventures created by pet owners that made their pups' happy meters go off the charts. 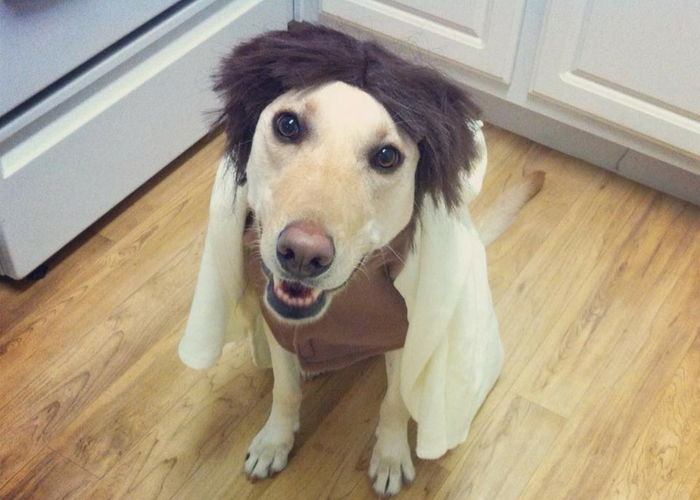 Some dogs love to do everything their humans do, including wearing clothes and costumes. 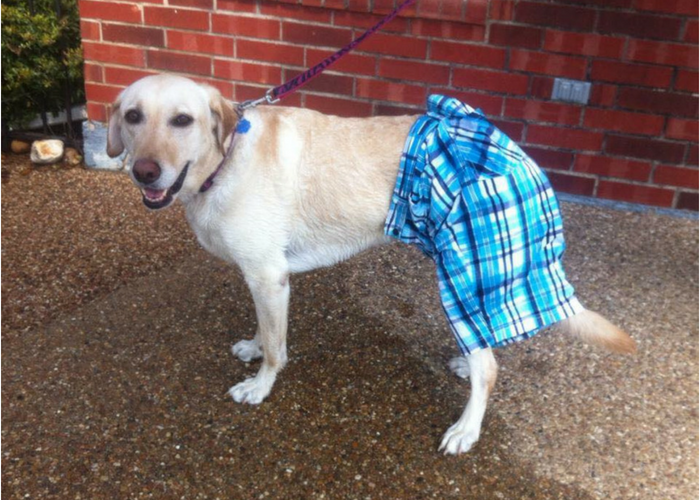 Lauren Swenson's dog, Prytania, is one of those. "Wearing the (short)pants in the family makes Prytania happy," says Swenson. She also shared this next photo of Prytania dressed up as her favorite TV character and looking very happy about the whole thing. Did you ever think that dogs and babies aren't so different? Emily Bolton found this out after receiving a singing toy as a gift. Now, she may have to buy a second one for the baby. "We got it as a baby shower gift, and now it is Lindy's. She stares at it happily and loves the thing probably a little too much," she says. Some dogs get crazy happy about sleeping on their parents' laundry. Maybe it's the freshly laundered scent or the fact that they know it's a bit of a no-no. 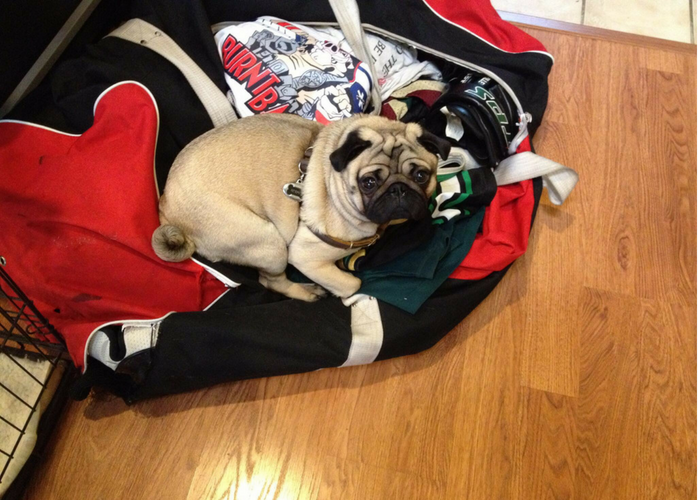 Aimee Alcorn-Reed sometimes lets her pug, Kermit, sleep on her laundry and it makes him really happy. "Laundry is his favorite thing," she says. Lindsey Lambert loves taking her dogs on hiking trips. 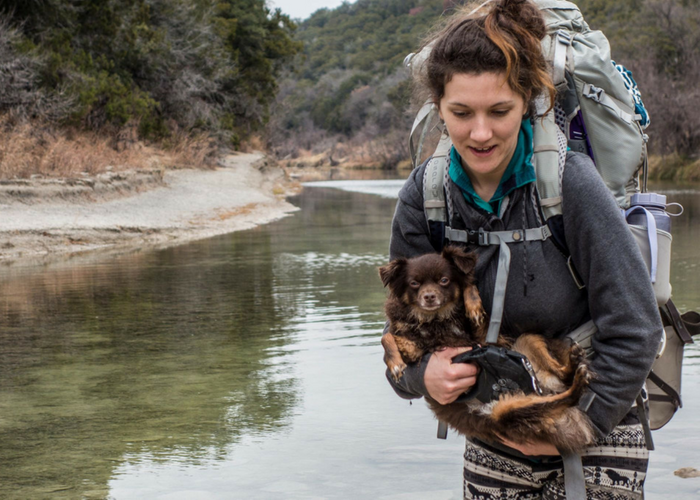 When she took Sookie on her first backpacking trip, this sweet little pup decided hiking was okay, but an elevated tour of the great outdoors was even better. "I'd do anything for this girl, and she knows it too," says Lambert. Some dogs think they're people—and it shows in their seating choices. 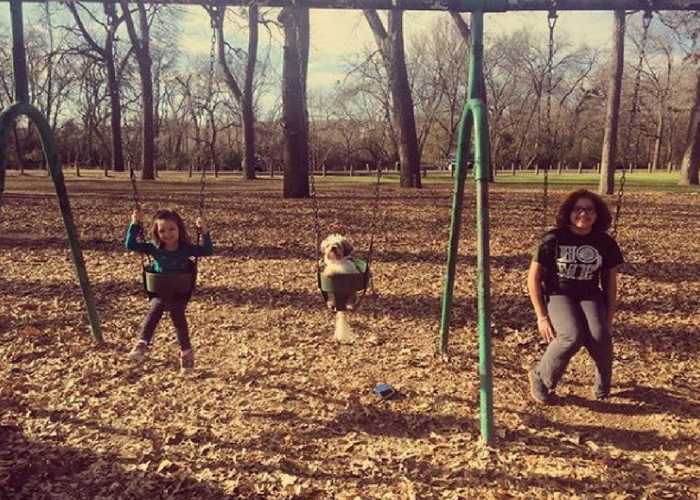 Stephanie Alexander shares these photos of her dog, Gizzy, happily swinging and rocking, just like everyone else in the family. Why not? 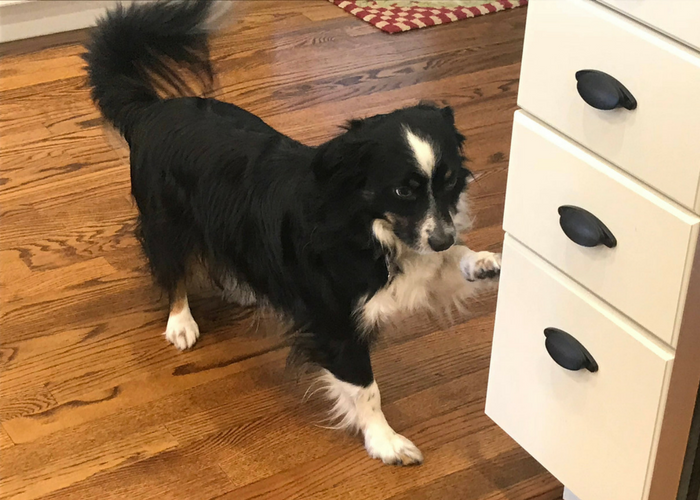 Who's the top dog in Jude's house? This border collie is happiest when it's him. His person Mark Woeppel says he showed Jude where his toys are, and the pup gets to call the shots when it's time to play. Talk about happiness. 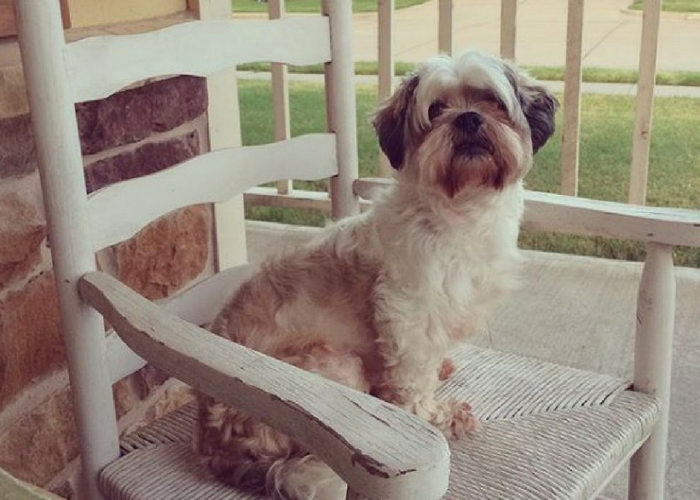 Jennifer Harris didn't intend to let her pups run wild and free in her potted plants. But once she saw how much fun they were having, she couldn't bring herself to stop them. Dogs love getting toys, but sometimes they think it's even more fun to play with one of yours. 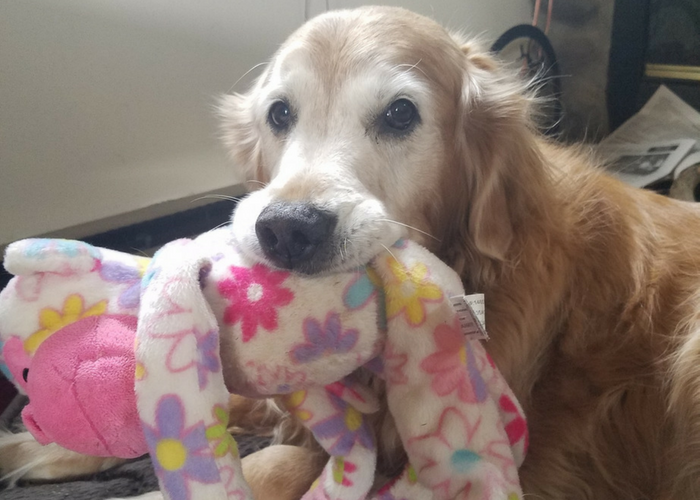 Jennifer Dzikowski sometimes lets her dog Ruby "steal" her toys. "She has a million toys of her own. But nothing makes her happier than stealing mine," says Dzikowski. 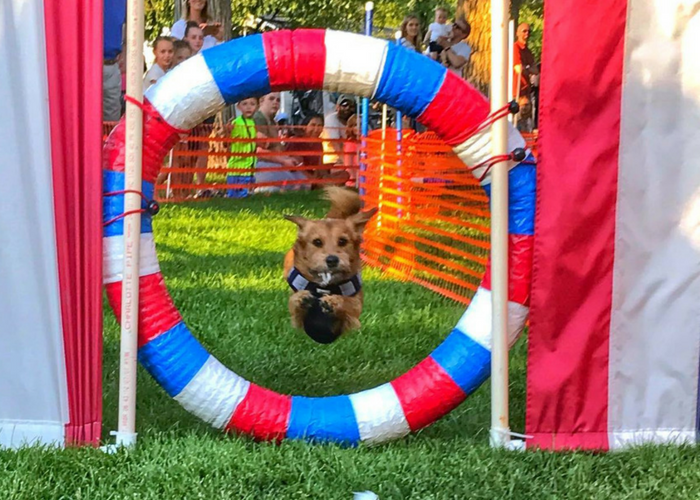 Uschi Gerschner's pup Bodhi enjoys a special obstacle course. What an exciting surprise! 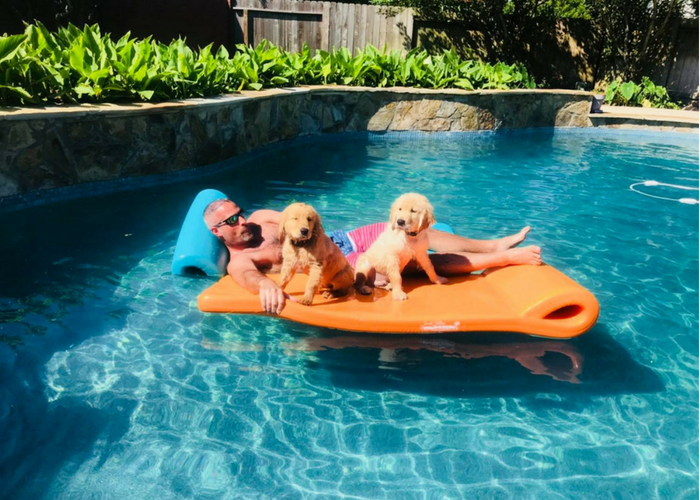 Jennifer Harris' golden retriever pups love the water. But sometimes, sunbathing with dad is extra special fun. What's a massage but a really awesome petting session? Stephanie Alexander's dog Oliver agrees. Chelsea Raggio and her daughter Maylee threw a surprise birthday party for their dog Bella, and she loved it! Maylee planned the whole thing, which even included a dog-safe cake. 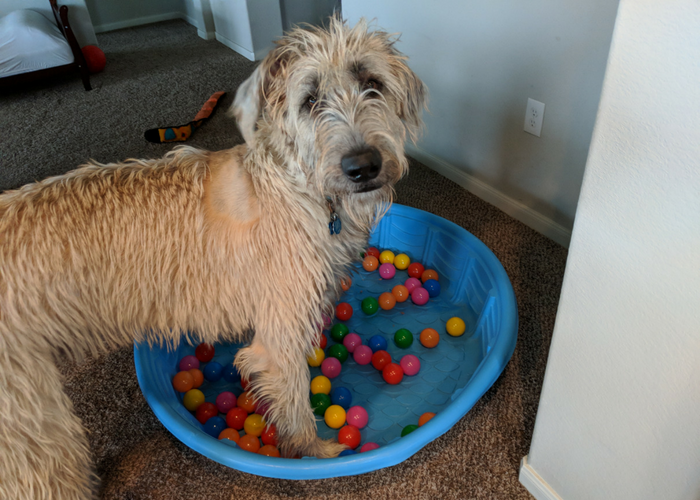 Kelly McGonigle's dog Rory gets to play in his very own ball pit sometimes. It's like living at an amusement park! Are your goofy antics making your pup super happy? Find out the signs of a happy dog, right here on The Noseprint. Is your pet stressed out? Here are some surprising things that could be the cause. With a little planning, your home can remain clean(ish) even on rainy spring days. Pets having too much fun while you're away? Here's how to keep them happy and your home intact. Your dog's senses are finely tuned to your needs. Here's why your dog knows you the best.